Join over 1 million members and start your £1 trial today. Kids Pass members enjoy kids eat free at restaurants and more! Kids Pass membership is an ongoing subscription and will renew at £3.99 a month. Membership can be cancelled at any time in accordance with the terms and conditions of membership. Sign up to Kids Pass for £1 for a 30 day trial. Kids Pass membership is an ongoing subscription and will renew at £3.99 a month. The first payment will be taken at the end of the trial period. Membership can be cancelled at any time in accordance with the terms and conditions of membership. Join over 1 million members and start your £1 trial today. Kids Pass members enjoy up to 57% off at thousands of family days out and more! Join over 1 million members and start your £1 trial today. 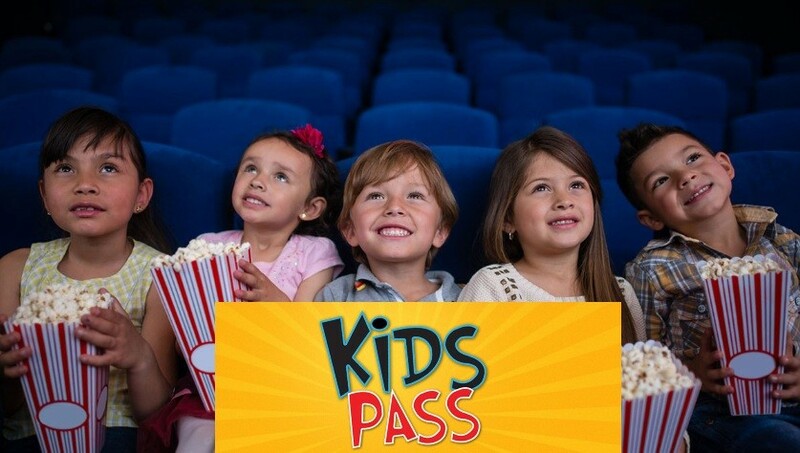 Kids Pass members enjoy up to 40% off cinemas and more! To redeem offers sign up to Kids Pass for £1 for a 30 day trial. Kids Pass membership is an ongoing subscription and will renew at £3.99 a month. The first payment will be taken at the end of the trial period. Membership can be cancelled at any time in accordance with the terms and conditions of membership. Kids Pass membership is an ongoing subscription and will renew at £39.99 a year. Membership can be cancelled at any time in accordance with the terms and conditions of membership. £1 for 30 days Kids Pass membership. Renews for £39.99 (normally £75) after the trial end date. Forces Discount Offers have joined up with Kids Pass! This means that we are offering you a massive 63% off the price of an annual subscription! Well they are normally prices at £75.00 but you can get one today for only £29.99. You only need one pass per household. Kids Pass will give you and your whole family huge savings at some of the UK’s Top Attractions, cinemas and restaurants! KIDS PASS obtain their exceptional deals directly from source, allowing them to obtain exclusive deals not available to members of the public! Up to 57% off at over thousands of attractions across UK. Up to 40% off at all major cinema chains nationwide! WIN YOUR DREAM CAR ONLINE TODAY!